As it emerges from centuries of social, military, and political strife, China--which represents one fifth of the world's population and its third largest economy--is poised to play a major role in global business. But what will that role be? 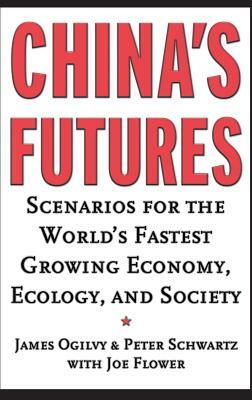 In this book, two experts, who have created business scenarios for some of the world's largest organizations--including Royal Dutch/Shell, AT&T, IBM, and Motorola--present three very informed versions of how China's future may unfold in the coming years and what it means to the rest of the world. These scenarios provide a foundation on which today's companies can build business strategies for years to come. Click here to read the preface from this book. JAMES OGILVY and PETER SCHWARTZ are partners in Global Business Network (GBN), a consulting and research firm that is devoted to helping clients develop business strategies that fit the emerging realities of global markets. They are responsible for the widespread use of business scenarios, a process they pioneered in the early 1990s and which Schwartz made popular through his book The Art of the Long View.